A new local community group – Kurdish House Leeds (KHL) – is getting stuck into life in south Leeds, coming in numbers to help at the monthly Friends Of Hunslet Moor litter picks, and helping the Hamara Centre refurbish the Old Cockburn Centre in Hunslet Moor, where they last weekend hosted a packed vibrant cultural celebration. 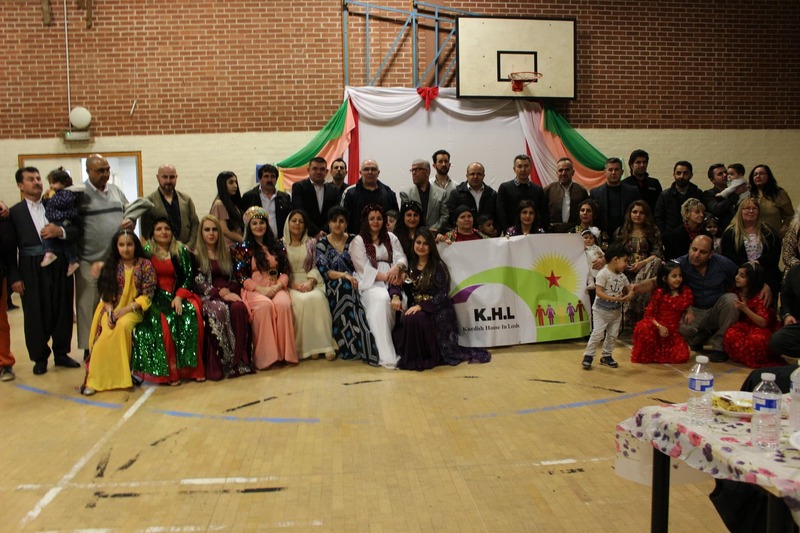 KHL was founded just last year (2018), and is made up of Kurds from across Leeds, but is particularly centred around Beeston and Hunslet Moor – where several of the key players, including Rebwar and Kashan Sharazure, live. They are becoming become involved in the wider life of the community, and also run cultural and educational programmes for themselves – and recently helped renovate Old Cockburn in order for it to become their community base. Last Saturday’s event (23 February) saw 200+ attendees of all ages, including Brenda Barlow and other members of the Hunslet Moor group, Ed Carlisle, Mohammed Farouk (chair of Hamara), Cllr Paul Wray, Nick Lalvani and colleagues from Touchstone, and many others. It was a spectacular event, with children singing the Kurdish National Anthem, dancing, and a massive spread of Kurdish foods. To find out more about KHL, find them on facebook here. The Kurdish people are an ancient people group living in the mountainous region between Iraq, Iran, Turkey, and Syria; they have been engaged in a centuries-long battle for independence; more info here. Old Cockburn is the old high school sports hall, on Primrose Lane facing Joseph Priestley College, currently under the management of the Hamara Centre: further info here. After major refurbishments in the past months, they aim to have it fully open to the public within a coming month. The Friends of Hunslet Moor is a neighbourhood group committed to improving the Hunslet Moor park, and the surrouding area (including the Longroyds, Dobsons, Moor Crescents, and so on); full info here. This post was written on behalf of the Friends of Hunslet Moor. We encourage anyone living or working in South Leeds to use this website to tell their news. You can either use the Create an article for South Leeds Life page, or email us at: info@southleedslife.com.